Russia insisting on bringing home ISIS fighters’ children , it doing it through Chechnya’s leader, Ramzan Kadyrov, pledged to bring home all the children of Chechens who fought for ISIS in Iraq and Syria. Kadyrov is known to be a close ally of Russian President Vladimir Putin. The announcement echoed the Russian Foreign Ministry’s very public critique of prominent Western countries’ refusal to do the same. Bringing home the children of former ISIS fighters from detention centers in Syria, Russia insists, is the right thing to do. Why? Repatriating ISIS fighters’ children, who have been educated in ISIS ideology and have lost family members because of Russia’s military intervention in Syria, could pose a long-term threat to Russia’s security at home. Russian citizens surely know this, as the country has suffered several deadly, high-profile terrorist attacks over the past decade. Even though Russia has become steadily more authoritarian since Putin was first elected in 2000, the Russian government has tried to emphasize its concern for human rights in international forums. When the United States withdrew from the U.N. Human Rights Council last year, Russia announced its candidacy for the spot. Russia’s support for Syrian President Bashar al-Assad has severely undercut its credibility on human rights. Human rights observers allege that Moscow has killed at least 18,000 Syrian civilians in targeted airstrikes and has covered up Assad’s chemical weapons use on his own population. These allegations prevented Russia from being reelected to the U.N. Human Rights Council in 2016 and continue to tarnish Moscow’s international reputation. In response, Russia has been emphasizing that its foreign policy has a moral character and that it values human rights. In late 2017, Putin praised Moscow’s efforts to repatriate the children of ISIS fighters as “honorable and correct,” as they were not responsible for their parents’ crimes. Alexander Bortnikov, chairman of Russia’s internal security agency, the FSB, reinforced Putin’s moral case when he argued that by bringing home the children of ISIS fighters in Syria, Russia prevents them from becoming suicide bombers or terrorist recruiters. In particular, the Russian government has argued that these children can be reintegrated into Russian society and has facilitated their adoption by foster parents who encourage these children to denounce extremism. Moscow then uses that praise to paint itself as a human rights supporter and to help establish itself as the primary peace negotiator in Syria, through peace talks in Astana and Sochi. Meanwhile, by bringing home the children of ISIS fighters from Iraq and Syria, Russia is trying to actively help shape international humanitarian assistance policies. Although Western sanctions and economic stagnation have prevented Russia from becoming a major humanitarian aid donor, it still tries to influence international humanitarian aid policy by taking stands on human rights issues that the United States tends to downplay or ignore. For instance, over the past year, as a permanent member of the U.N. Security Council, Russia has lobbied to end a Saudi Arabia-led coalition blockade of Hodeidah, Yemen’s port city. Russia has tried to start bilateral dialogues with Western powers about investing in helping Assad rebuild Syria. Such efforts don’t always succeed. Russia didn’t have much influence when, in December, Yemen’s government came to an agreement with Houthi rebels to halt hostilities, called the Stockholm Agreement. And the United States rebuffed Moscow’s Syrian reconstruction proposal. 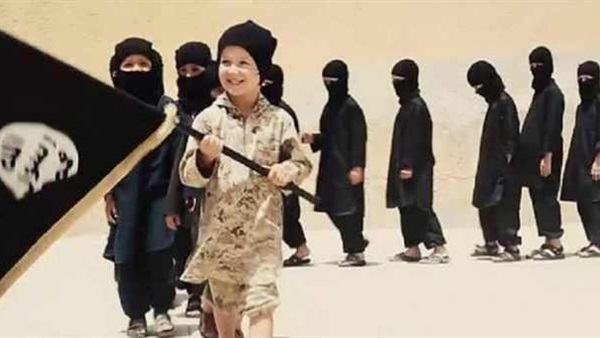 Bringing home the children of ISIS fighters lets Russia keep signaling that it’s a leader. In December, Iraqi Prime Minister Adil Abdul-Mahdi met with Anna Kuznetsova, the Russian president’s envoy for children’s rights, and agreed to work with Moscow on separating “humanitarian issues” from “terrorist crimes.” Russia may be the only country working with both Syria and Iraq on bringing back the children of ISIS fighters — making Moscow indispensable in resolving a critical post-conflict humanitarian dilemma. Meanwhile, President Trump has been pressuring European countries to repatriate former ISIS fighters, so the United States can speed up its withdrawal from Syria. Although Russia has confined its repatriations to the children of former ISIS fighters, Moscow views the evacuation of detention centers operated by Kurdish Syrian Democratic Forces as a natural next step, and sees its leadership on this issue as a way to gain much coveted status recognition from the United States.